Optimum Employer Solutions specializes in personalized, professional HR services for small to mid-sized companies. Clients work with two dedicated account managers to develop solutions for their business needs. Services include human resources, payroll, benefits, HRIS, and risk management. By handling many of the administrative and compliancy aspects of the business, Optimum Employer Solutions gives business owners the freedom to focus on business strategy and growth opportunities. 1. Are you able to provide me more affordable health insurance than I can find on my own? Optimum: Quality benefits can be expensive for a small business, but thanks to the buying power Optimum has as a large employer, we are able to offer our clients lower rates on insurance than they could typically obtain on their own in any of the states that they have employees. Optimum: Companies can decide which benefits they want to offer (medical, dental, vision, life, disability, 401k, and others) and how much they want to contribute. Minimum employer contributions may apply. We also offer benefits administration to help you handle new hire eligibility tracking, compliance issues, open enrollment, and COBRA. Optimum: Onboarding typically takes 30 days from start to finish, however it can be expedited if special circumstances require it. Clients work directly with their assigned team from day one. Comprehensive checklists and due dates help keep everything on track so onboarding runs smoothly. Electronic onboarding is available for employees to complete necessary paperwork. 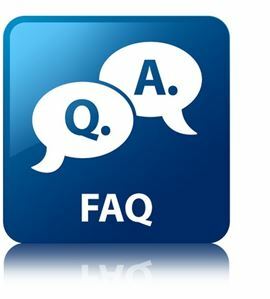 Our staff is always available to answer questions, both from the employer and their employees. 4. You talk about the employee self-service offering. Why is this a benefit to my employees or me? Optimum: Optimum’s web-based human resources information system (HRIS) allows you to access the information you need on your desktop or mobile device, anytime, anywhere. It saves you time, resources, and paperwork headaches. The self-service capabilities allow employees to access paystubs, W-2s, time off balances and more, thereby reducing the number of times they come to you with questions. This is a benefit to both the employer and employee. Your company will appear professional, organized and tech-savvy, all things that can be important when defining your company as an employer of choice. Optimum: Most interactions will be handled by phone, email or offsite; however, we do make visits to the client’s location in special circumstances and with enough advance notice. Examples of onsite interactions could include training opportunities, benefits orientation, or handling a major employee issue. Optimum: It is the client’s choice. Some employers prefer that their employees go through them before speaking to our representatives. However, if you want employees to talk directly with us, they can. Optimum: We provide guidance, advice and proactive risk reduction. As an Optimum client, you are covered by our Employment Practices Liability Insurance (EPLI) insurance which provides protection in the event an employee sues you for wrongful termination, discrimination, harassment and other similar claims. A policy deductible applies. Optimum performs investigations and provides legal counsel in these instances. Optimum: Clients do not work directly with our attorneys, but the Optimum service team will on your behalf. There are no additional fees for this service. Optimum: Optimum handles all tax filing, including SUTA, and unemployment claims on the client’s behalf. Client involvement is minimal if at all. If we are permitted to attend unemployment hearings on the client’s behalf, we can, and do. 10. I’ve read about losing control of certain aspects of my business if I go with a PEO. What specifically can I not do, or will I need PEO approval to do, once I sign up? Optimum: In a PEO relationship, the PEO becomes the administrative employer of record while the client remains the worksite employer of record. This means that the client retains control of hiring, firing and directing their employees. There is no loss of control whatsoever. On the contrary, the employer has more control because the PEO provides best practice guidance and advice. As the administrative employer of record, the PEO shoulders much of the responsibility for employee administration that can bog a small business down, allowing you more time to focus on growing and running your business. 11. What kind of training do you offer? In what areas is it offered and is it available online, onsite, in a classroom, or through other venues? Optimum: Optimum offer hundreds of different training courses to our clients in areas such as management, compliance, risk reduction, harassment prevention and workplace safety. Research has shown that training is more effective when it involves active participation so our trainings are delivered real-time by webinar by the client’s own service team. We occasionally conduct training at client sites as well. 12. How do you assure me you have remitted my state and federal taxes? Optimum: As the administrative employer of record, the burden of responsibility falls on Optimum, not on the client. Our billing shows all federal and state taxes collected and paid. 13. What makes your PEO unique? Optimum: We offer a personalized touch that clients often don’t receive with the largest PEO providers. Service can be customized rather than it being just a one-size-fits-all approach. Our clients work with just two points of contact and are never shunted to a call center or passed around to different departments. We offer transparent billing that allows you to understand every component of what you are being charged. Finally, we consistently receive client satisfaction ratings in the 90th percentile.